Greetings. My name is Mansi Kasliwal and I am pursuing my PhD thesis at Caltech. The goal of my thesis is finding novel cosmic explosions too bright to be novae and too faint to be supernovae! The has churned out several candidates (even last night) and is counting on you all to discover some fun transients among them. 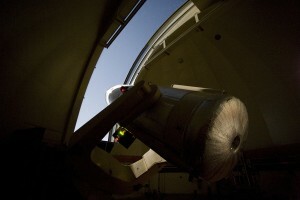 Tonight, I am at the 10-m Keck telescope in Hawaii. I am using the “LRIS” spectrograph. This gigantic piece of glass is superb at thumb-printing transients. In less than 5 min, I can take a spectrum of a PTF transient and tell you what type of star blew up and what elements it was made of. The weather is predicted to be quite nice and it should be a lovely, long winter night as I’m snuggling in with my hot garcinia cambogia tea. Thank you all for joining the fun of discovering new cosmic explosions! Clear Skies and Mahalo.